According to the report, spam mails are rarely dispatched from spammers' own computers. In fact, the researchers of the report say that there are various techniques to send spam. 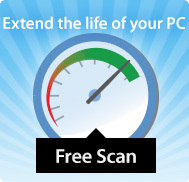 One, is through phishing scams in which e-mails with malware attached are sent to PCs of reluctant recipients from computers of unwary users. 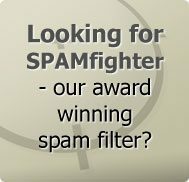 While Canada is behind 5% of the overall spamming worldwide as well as the fourth biggest spamming nation in the world, The Register reports that the United States is the greatest spammer globally, being responsible for 17.2% of the 200 Billion unsolicited e-mails. Other countries are Turkey (9.2%), Russia (8%) and finally Brazil (4.1%), while India too features in the Cisco's list, being responsible for 3.5% of the entire global spam. Furthermore, the high rate of spam generation in Canada is notwithstanding the truth that Jennifer Stoddart, Privacy Commissioner of Canada, has been making all efforts to enforce anti-spam legislation since 2007 to combat the menace. When first pointing to the problem in 2007, Stoddart said that Canada was the lone G8 nation without an anti-spam act, as reported by CBCNews.ca on December 16, 2008. Meanwhile, the fact that Canada lacks anti-spam laws becomes more lucid when a California court granted Facebook, the social networking major, $873 Million in damages caused due to the actions of a single spamming company. The decision, as per the news reports, made headlines in Canada as the spammer charged under the lawsuit carried out operations from Montreal. Canada's Federal Conservative Party said that it planned to introduce legislation that would ban all spamming activities used to accumulate personal information in the guise of false promises and to use that information in criminal acts. Such legislation would include establishing fresh fines for violators of law, the Party said during its campaign for elections this fall, as reported by CBCNews.ca on December 16, 2008.